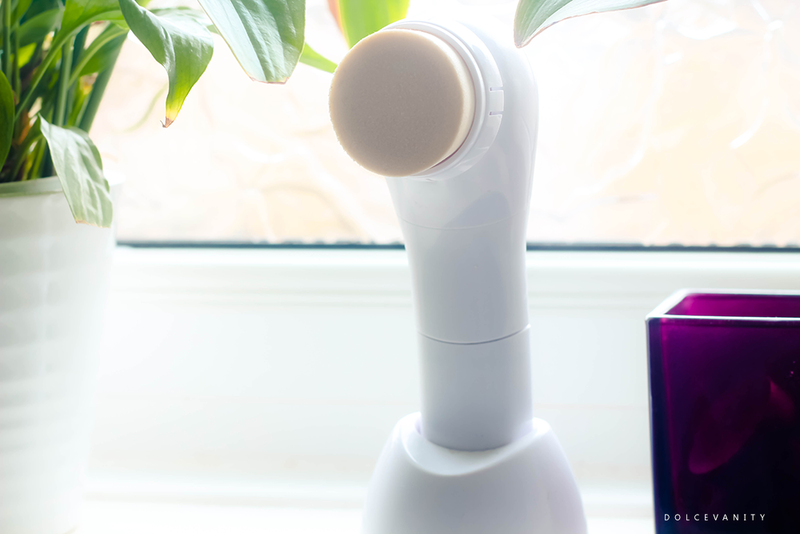 I've mentioned on this blog several times, I've suffered from pigmentation and when asked if I wanted to trial the Dermacare - DermaTX Microdermabrasion System I decided to give it a go. I'd seen other well known brands have their own versions and of course it is a treatment that is available at clinics which seem to be a lot faster with results as at home kits are only given a certain strength to avoid non-medical professionals doing more damage. About 6 months ago I wrote a post about DermaTx Microdermabrasion Rejuvenating System. Of course knowing that at home kits are never going to be as strong or garner the same results as a clinic microdermabrasion. The Rejuvenate system is aimed more at wrinkles and fine lines which isn't an issue for me as much as pigmentation is. It has lactic acid in which is more gentle that other acids as it's more gentle & moisturising for the skin being able to use daily but I would've preferred something aimed more at what my skin concerns are so I could see results for what was an issue. Being the honest one I am, I didn't particularly like the battery operated system. It didn't feel strong, a little flimsy. When I would use it, the vibrations from this battery operated system, was very hard in the hand and uncomfortable to use. The sponge & brush just vibrates, my own personal preference I prefer things that rotate - not even being lazy, it's to feel that even though I am moving it around manually in circles but also the system is working more with me. Giving me more peace of mind. I just find the scrub that effective. It was slightly grainy but creamy at the same time, I would apply dots of the scrub on cleansed but still damn skin and start to spread it over my face with the device, really working it into parts of my skin. Then rinse off my face and continue with my facial routine. You'd need to thoroughly clean the unit after use and the sponge especially. It's recommended to replace the sponge heads every 2 - 3 months. I discontinued use of this after a couple months as I wasn't seeing much of a change or improvement. I'd use it 3x a week. During that time I started to break out - I'm not sure if it was from the system or not - and more pigmentation occurred and I had to find alternative options to help prevent and help to aide heal spots / pigmentation. I would say my face felt okay after use, nothing life changing for me. Just didn't get the results I had hoped for. I'm sorry but £70 for a sponge on a stick isn't doing it for me! But in all seriousness, our skin is very similar, so I think I'd give this one a miss. It might not have caused the breakouts, but at £70 it's not a risk I'd want to take. Maybe I could buy an electric toothbrush, a sponge and some sticky-back plastic and make my own one Blue Peter style?